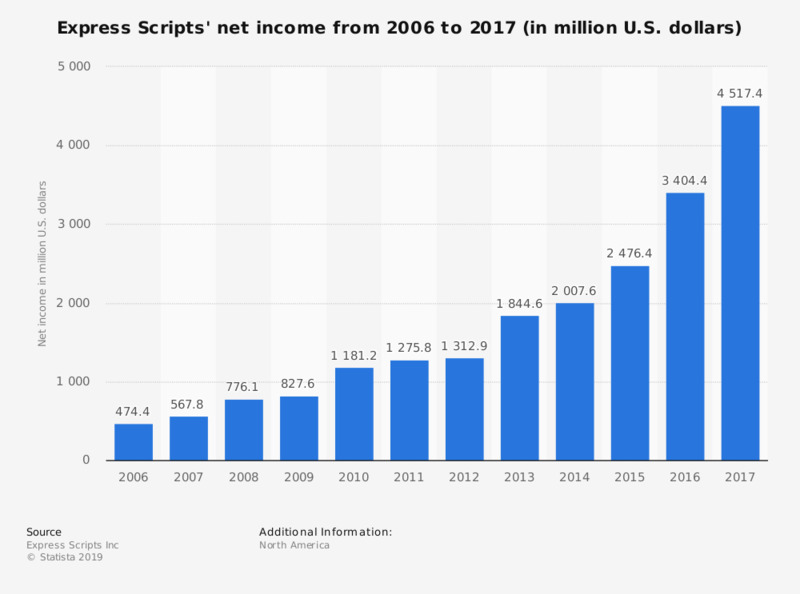 This statistic shows Express Scripts' net income from 2006 to 2017. Express Scripts is one of the largest pharmacy benefit managers in the United States. They provide services to manage drug plans for government agencies, corporations, and unions. In 2008, the company had a net income of approximately 776.1 million U.S. dollars. In 2018, Express Scripts was acquired by U.S. health services company Cigna.